Where stationary vehicle exhaust systems are unavailable or inaccessible, the best solution may be a portable exhaust removal system from Hastings Air Energy Control. Our V.E.S. portable system provides powerful 225 CFM source collection, operating with standard 115V power to use wherever it is needed. The V.E.S. 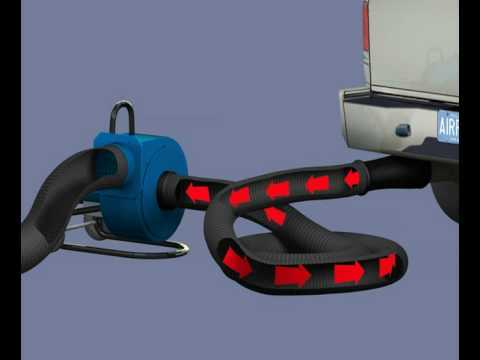 Portable Exhaust Removal System is lightweight and easy to handle. One-person operation is facilitated with standard wheels and support stand. It also has a generous radius of operation with an extra long hose (30 foot/3 in. diameter, 25 foot/4.5 in. diameter) and a 24-foot power cord.